The best time to visit a Yorkshire town is during market day. The absolute best day to get out and tour around is on a Yorkshire markets day. The buzz and hustle in Yorkshire market towns and the hum of folks getting the freshest meats, veggies and cheeses from their local farmers is intoxicating. Not to mention the deliciousness of picking up hot and fresh Yorkshire pies and other delicacies. North Yorkshire is a strikingly beautiful area to visit in England. 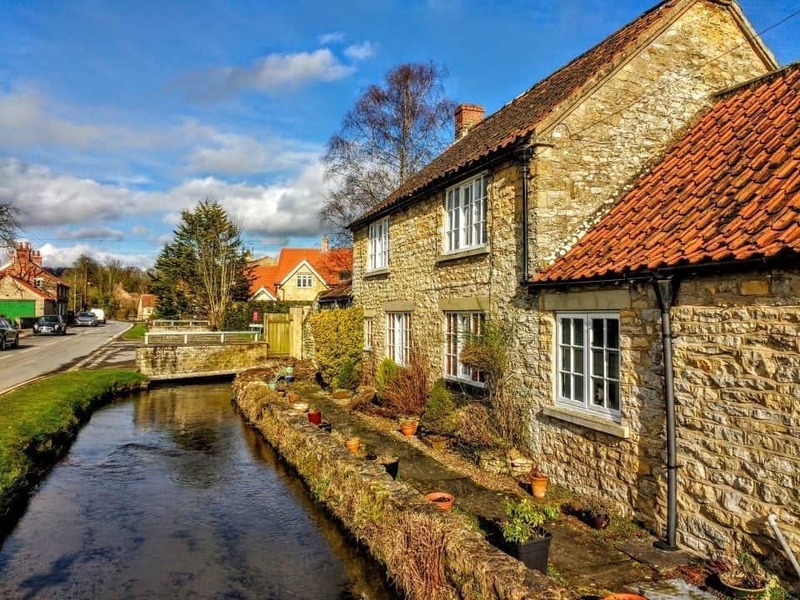 We were lucky enough to take on a house sitting job in a little village called Snainton which was perfectly positioned to visit historic cities like York and Whitby and to really enjoy the Yorkshire coastline. 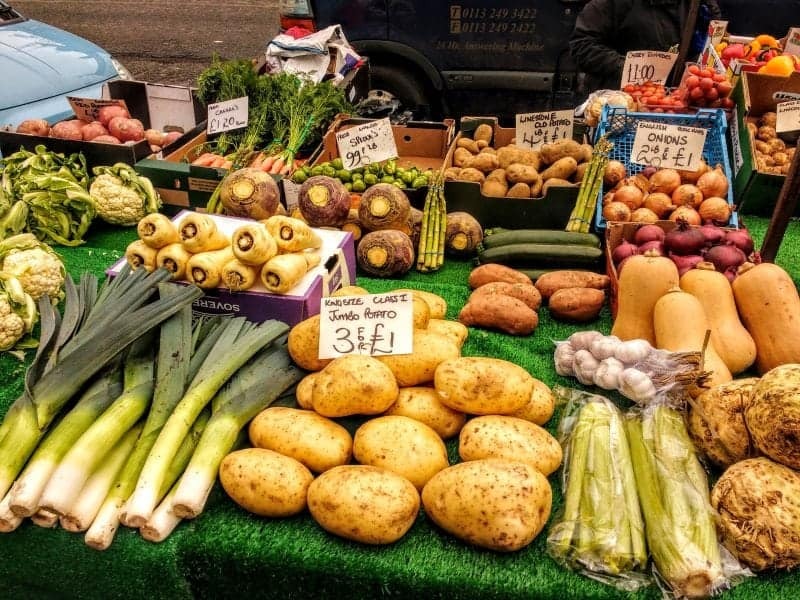 One of our favourite activities is to make sure we visit market towns and see all the farmer’s markets we can and Yorkshire has an incredible variety of markets to check out. From the gourmet heights of Malton’s Market once a month to the delights of Pickering every Monday we make it our mission to find a market. Fancy a ride to Hogwarts? Jump on board the North Yorkshire Moors Railway for a trip of a lifetime. 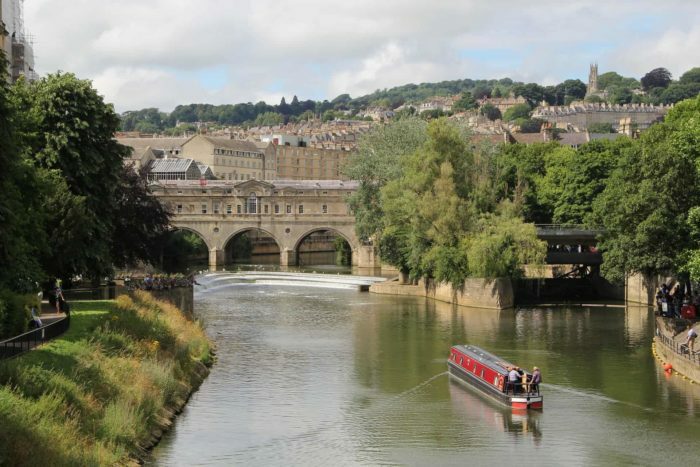 England is awash with market towns and Yorkshire is no exception. Market towns have a long history here dating back to Medieval times when farmers would come into the villages once a week to sell fresh fruit and vegetables along with meat, eggs and poultry. 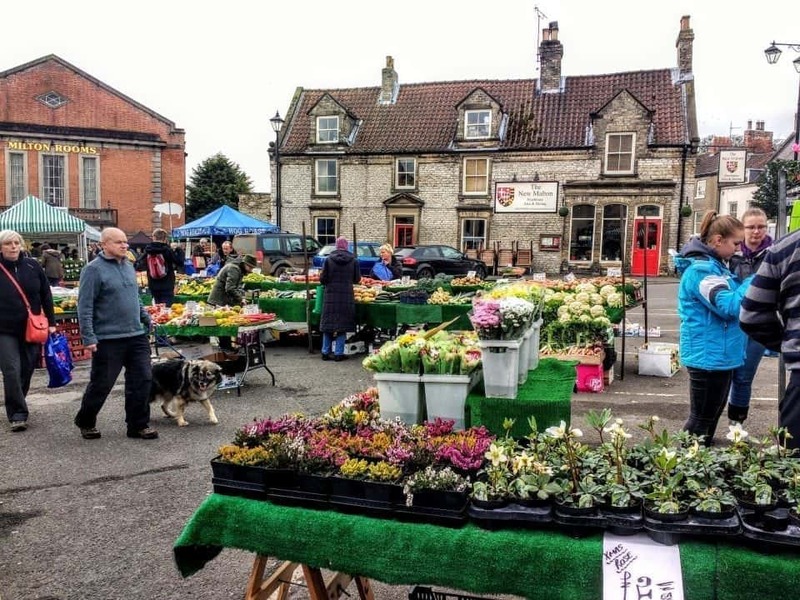 Market towns in Yorkshire do vary – some are strictly farmer’s selling their produce, fresh meat and so on and others are a combination of vendors from those selling bric a brac to bras and fresh baked goods. Most markets unless otherwise stated will sell a range of products so don’t be surprised to see you can pick up some incredible meat pies and a couple pairs of boxers at the same time. 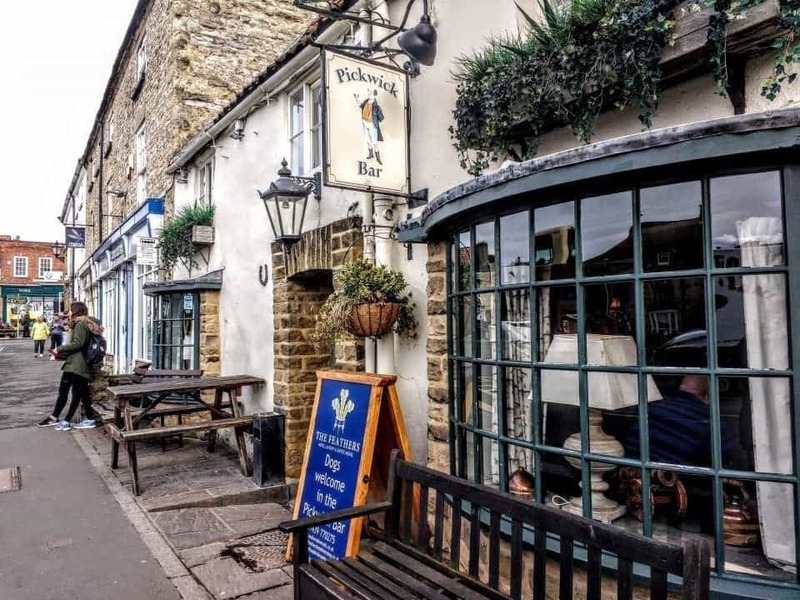 Helmsley is a small market town nestled on the edge of the moor and was named Market Town of the Year. 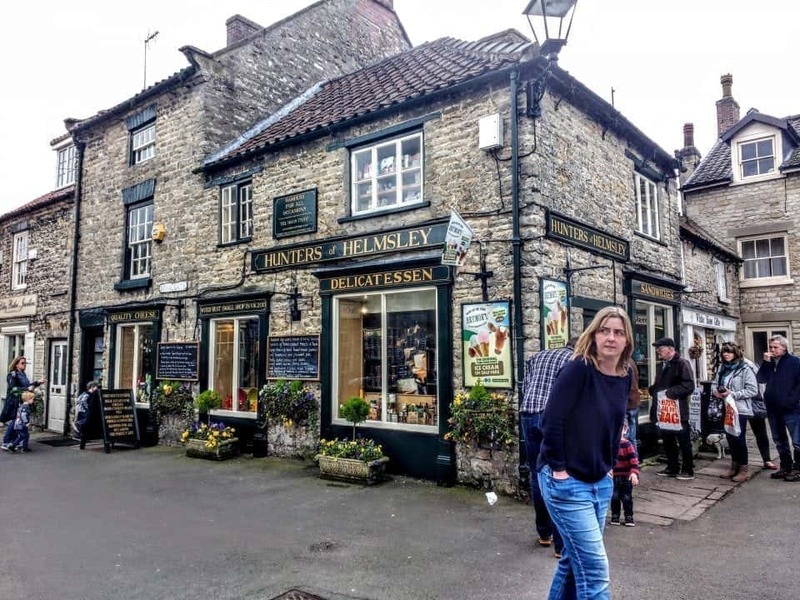 There are over 60 independently owned shops in Helmsley selling a variety of items from kitschy souvenirs to some of the best pastry and meat pies I have ever tasted. The village square is full of traders on a Friday and there is an abundance of tea shops to enjoy some Yorkshire cakes in. 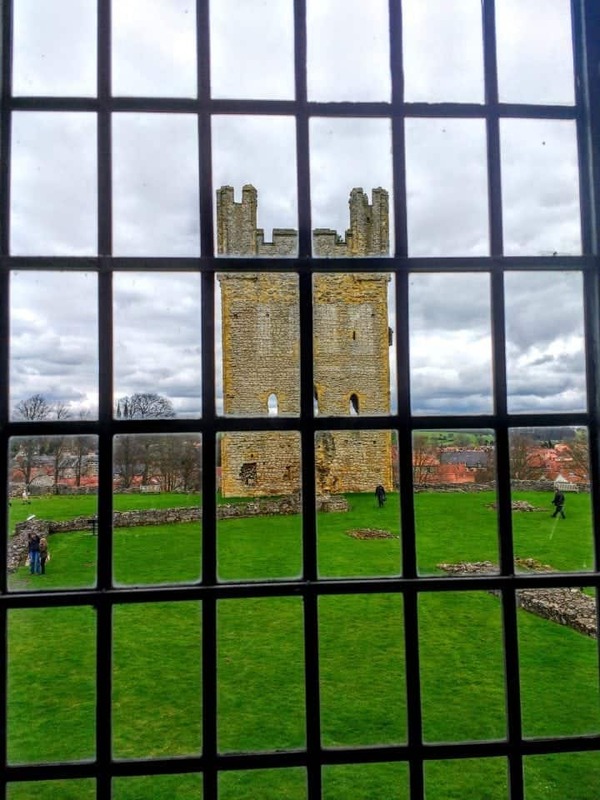 You can also visit Helmsley Castle at the edge of town and learn how the castle evolved over the centuries, from a mighty medieval fortress to a luxurious Tudor mansion, to a Civil War stronghold and a romantic Victorian ruin. Take a short journey down the road and check out Rievaulx Abbey, as you drive down the hill this perfect gothic ruin looms romantically in the gorgeous valley. Malton is known as Yorkshire’s Food Capital and its twice monthly market is a feast for the senses. From fat beautiful sausages to some of the best homemade cider this market is simply a must see. Malton was by far my favourite Yorkshire Market Town beyond a doubt. 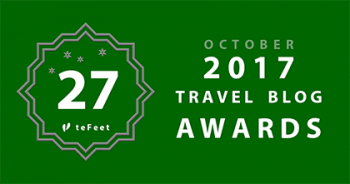 Great restaurants, tons of free samples and great local produce make this a great day out. The Food Market in Malton will have its own post shortly. 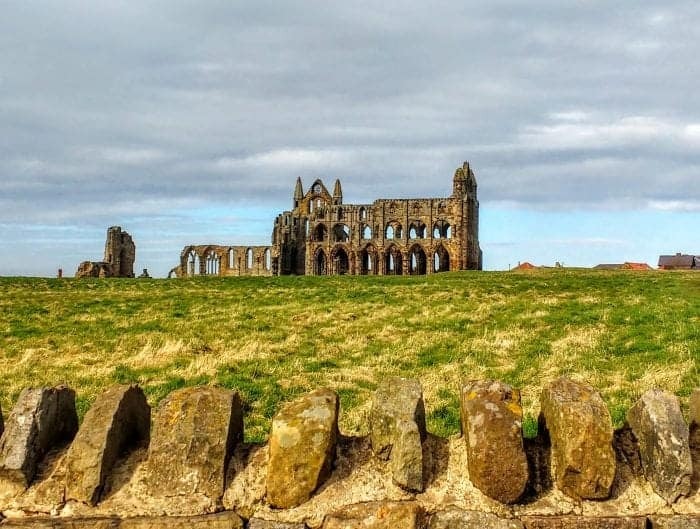 Whitby is outstandingly atmospheric, with the brooding Abbey ruins that inspired Bram Stoker’s Dracula Whitby has charm and history. The narrow little streets in the town centre give you a feeling of having gone back in time and are full of independent retailers with some funky things for sale providing the perfect setting for a charming and unique shopping experience. 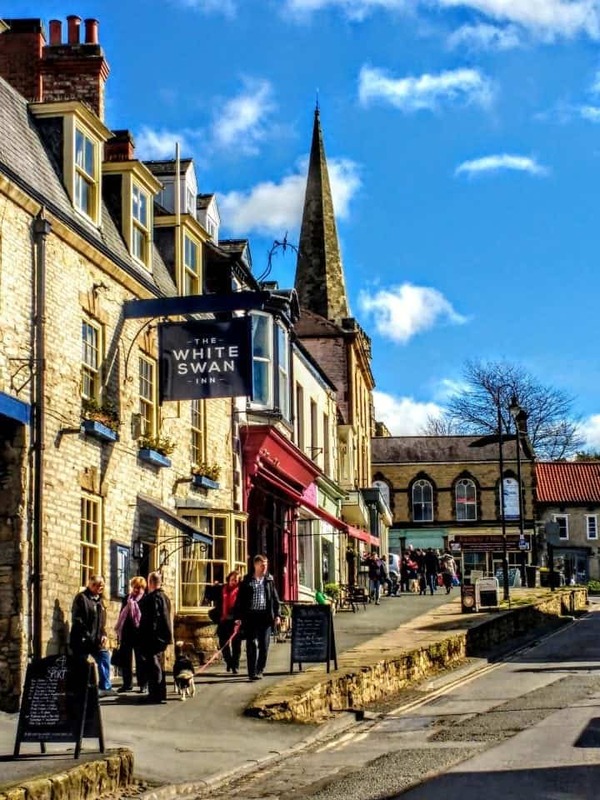 Renowned for its unique blend of local craft shops and jewellers (including highly sought after Whitby Jet Jewellery). 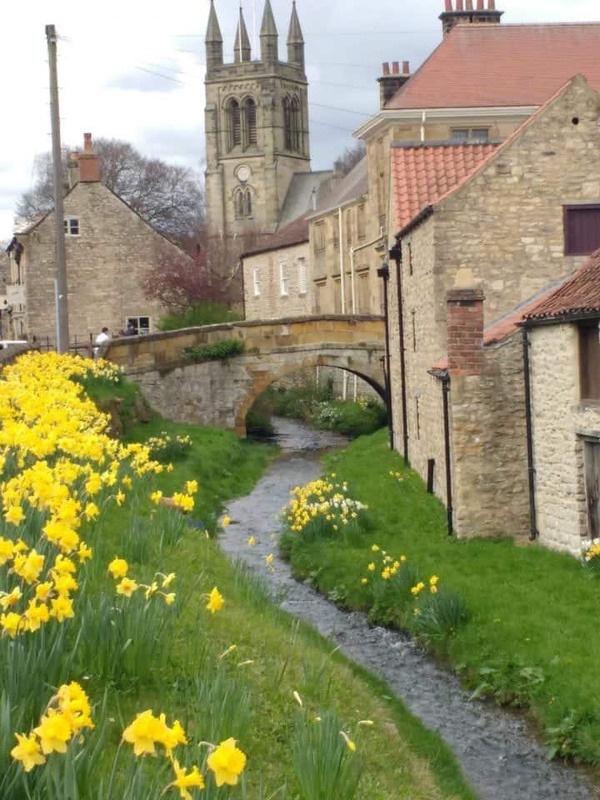 Pickering is a pretty and very friendly market town on the edge of the North York Moors. Nestled between a Castle and the river Pickering is a charming village with little alley-ways lots of tea shops and a great market on Mondays. 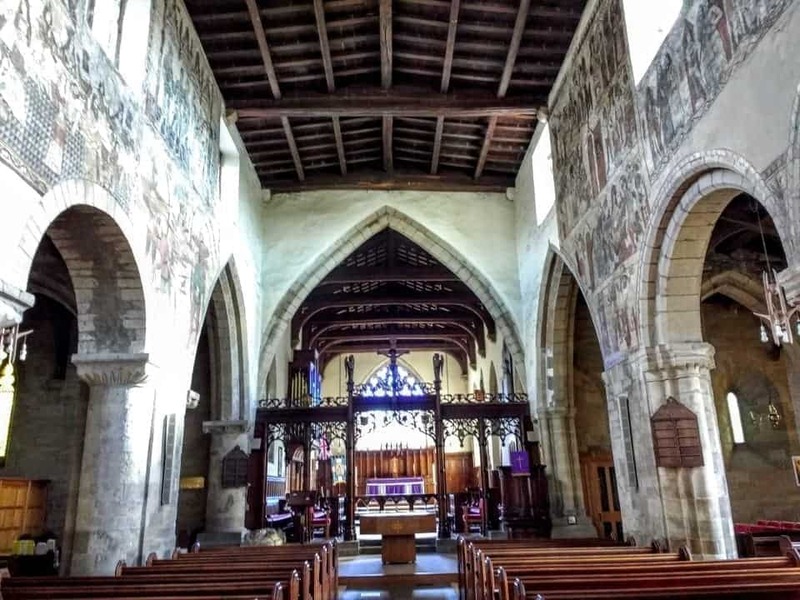 Don’t forget to take a look at St. Peter & St. Paul’s Anglican Church with its world famous 15th Century wall paintings. Besides the Malton market Pickering is my favourite market town in North Yorkshire . They have a great little market on Mondays that encompasses baked goods, the fish van, a cheesemonger with some awesome Yorkshire cheeses, and of course a couple of fruit and veg guys. Robin Hood’s Bay is historically known as a smugglers haunt and has a long history of evading the law which is where the name comes from, not as in the Robin Hood of Sherwood Forest. There are absolutely stupendous views from the top of the village, you cannot take your car down into the village but must park at the top and walk down. The town itself is charming and atmospheric with its lovely beach. On a summer’s day or any warm day for that matter you will see the Brits out crabbing and looking for cockles and whelks in the tide pools of the beach. Absolutely brilliant place for a fish and chips by the shore. 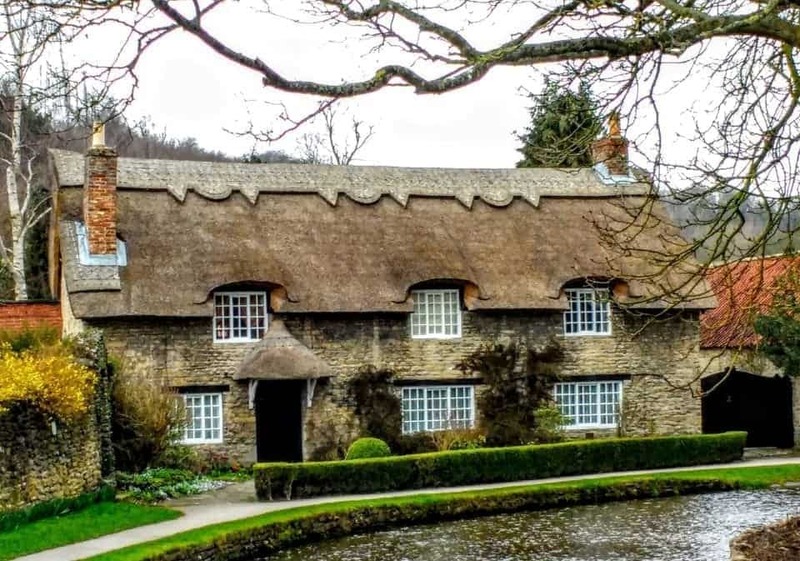 Thornton le Dale is a charming little Yorkshire Village with lovely stone houses, a river running through and some delightful architecture. You can’t help but fall in love with this place. 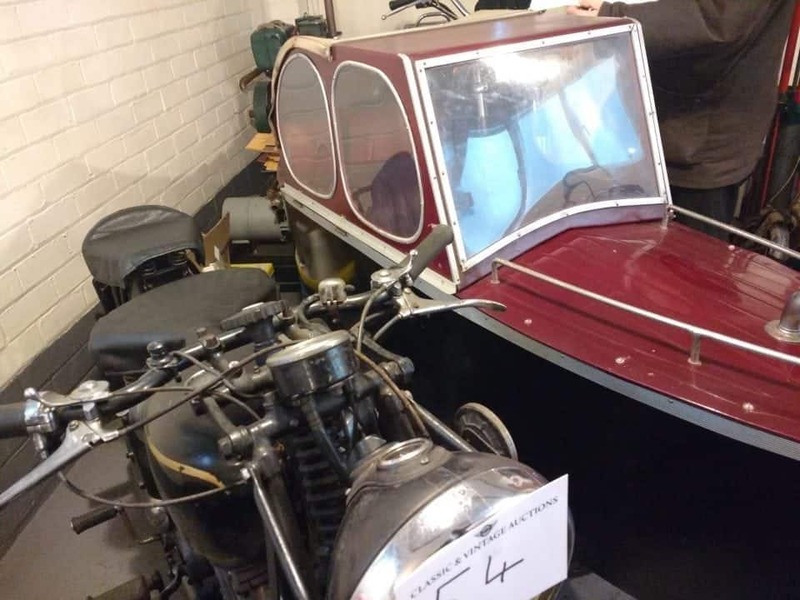 Check out Mathewson’s fabulous antique car museum where they have great auctions once a month. You can see vehicles and motorcycles, mopeds and scooters plus tons of interesting car and vehicle memorabilia. I was pretty sure I spotted some British Celebs at the auctions, not to mention a few cars and bikes I could happily own. Lady Lumley’s Alms houses are a restoration project that provides subsidized housing for older folks on the edge of the town square. Lovingly restored and renovated the original alms houses date back to 1657 when Lady Lumley bequeathed her estate for the creation of a school and almshouses for the poor. The Square is in the centre of the village and here on the village green, you will see the Market Cross and Stocks. There isn’t a market in the square anymore and the last time the stocks were used was in 1874. Inspired to visit Yorkshire? Pin it for later. I love to discover such gems. These towns look absolutely amazing. So far, I only saw such towns in movies or blog posts – but I hope I’ll get there sooner rather than later. Wonderful pictures too! It is gorgeous sort of like travelling around a movie set – the glory of Europe in my eyes all these tiny beautiful little towns. I really need to see more of Yorkshire! When we head back home to England I will make it a priority to see more! Thanks for the inspiration as always! Can’t wait to get back there myself – oh for the want of a good pasty or a Yorkshire pud. You can’t beat the scenery and the food is awesome. All of your photos are so charming! I’ve never been to Yorkshire but after seeing all of this food I’m interested. I’m a total architecture nerd so I’d love to see these villages in person. 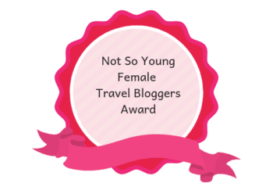 Thank you – that’s the part I love the most about travelling the variety of architecture and if you ever get to York check out the Shambles – talk about architecture wow from medieval to Tudor times to the present just amazing. Pies oh my god the pies – I was in heaven sausage rolls, chicken tikka pies, steak and onion pies, pasties vegetable pies, chicken and veg pies, potato and leek pies goddamn it now I am going to have to find some pies in Spain. Off to the British store we go….lol….If you really want to see some awesome pies and experience food heaven get to the Malton Market – I swear I have seen nothing like it anywhere chock full of the most incredible foods and PIES!!!! You even get to sample them. Lovely post! I love little markets and cute villages, Yorkshire is a truly beautiful place! Thankyou for sharing. You have me feeling nostalgic for my time living in England! Lovely post! Excellent post! It reminds me of when I was living in the Yorkshire a few years ago. I particularly loved Whitby and Robin Hood’s Bay, I think they have a special atmosphere indeed. In general, Yorkshire is one of the best regions of UK, and the markets are an excellent way to appreciate the local beauty.